As a combat engineer with General George S. Patton's Third Army in April 1945, William Dippo helped bulldoze mass graves for victims at Mauthausen Concentration Camp and create a water purification system for the survivors. 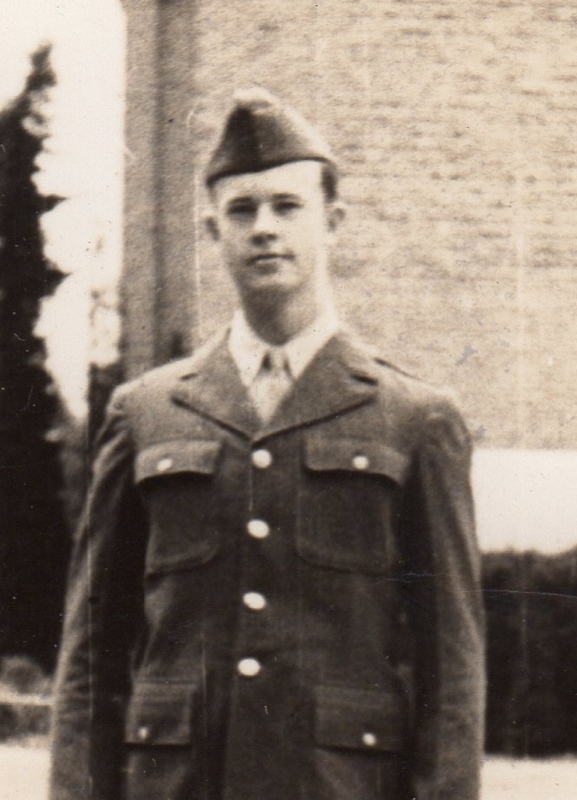 Robert Anderson, a member of the 10th Armored Division, fought in the Battle of the Bulge and liberated a concentration camp near Meitingen, Germany. Lee Berg served in the 102nd Infantry Division and 5th Army. As a Jewish officer who helped to liberate a concentration camp, he held an intensely deep and personal connection to everything he witnessed as he worked to liberate Dachau. Dr. Ted Hartman crossed Western Europe as a member of the 11th Armored Division, helping to liberate Buchenwald and Mauthausen concentration camps. William Danner landed in France on D-Day and moved across Western Europe with the 104th Infantry Division into Germany, where he witnessed the liberation of Nordhausen Camp. “Chick” Havey deployed to Western Europe via North Africa, serving with the 42nd Infantry Division. He helped to liberate Dachau Concentration Camp. Camp as it was liberated. Sigmund Liberman, an engineer in the 104th Infantry Division, fought across France, Belgium, Holland, and into Germany, where he witnessed the liberation of Nordhausen Concentration Camp. Ben Love served as a pilot in the 8th Air Force and captained B-17 bombers over Germany in 1944-1945. He helped to liberate Mauthausen Concentration Camp. His experiences with the liberation inspired him to live a life of philanthropy and compassion. As a member of the group of German-born American soldiers known as the “Ritchie Boys”, Gerd Miller served as a U.S. Army Intelligence specialist and investigated Nazi concentration camps at Dachau, Ebensee, and Mauthausen upon their liberation. Jerry Morgan served in an armored division in the 158th Infantry in North Africa, Italy, and France before finally reaching Germany. He helped liberate Dachau Concentration Camp. “Jack” Reynolds was an engineer in the 104th Infantry Division who witnessed the liberation of slave laborers in a secret German bomb factory and at Nordhausen Concentration Camp. the day after its liberation, helping to bury the victims and round up escaping German soldiers. Herbert Stern, a native of Germany who became a U.S. citizen after being drafted into the U.S. Army, conducted translation and intelligence operations with the 99th Infantry Division and helped liberate Nordhausen Concentration Camp. John Valls served in the 52nd Armored Infantry Battalion of the 9th Armored Division. He helped liberate Bergen-Belsen Concentration Camp. An ambulance driver for the American Field Service, Melvin Waters entered Bergen-Belsen Concentration Camp with the 9th General Hospital and aided in the evacuation of female survivors. Raymond Watson served in the 87th Chemical Mortar Battalion, Company C, and helped to liberate Buchenwald Concentration Camp. George Wessels was a member of the 75th Infantry Division in 1945 when it discovered a German concentration camp inhabited by political prisoners. North Africa, Italy, and southern France before reaching Germany, where it liberated Landsberg Concentration Camp, a subsidiary camp of Dachau. Ray Buchanan served with the 838th Anti-Aircraft Artillery Battalion and took part in the liberation of the Dachau Concentration Camp. While stationed in Germany after the war, he encountered Hermann Göring.